Nexus Point is a 9-storey refurbishment project situated in Erdington, 12 minutes from Central Birmingham. The project will comprise the strip out of the existing office building and create 85 studio, one and two bedroom apartments and the replacement of the existing curtain walling including the complete change of fenestration. The project will be procured via an amended JCT 2016 Design and Build contract with Practical Completion due July 2018. 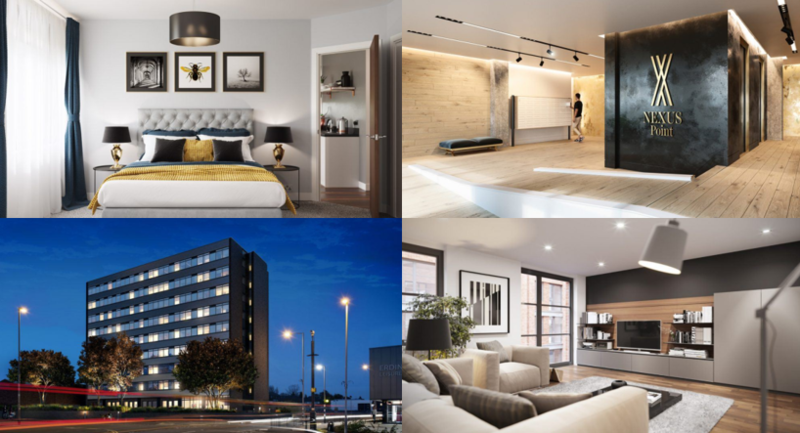 This development is one of many currently being delivered for Seven Capital in and around the wider Midlands region. Our diligent and pragmatic approach to cost and project management has resulted in a strong bond between Client, Contractor and Fellows, which we aim to maintain from project inception to completion.